Dr. Jason Fowler is one of the very few dentists in the Fort Worth area who offer patients CEREC®: an advanced system for restoring teeth quickly, comfortably, and conveniently. If Dr. Fowler recommends that you receive a dental crown as part of your care, he can also advise you whether you are a good candidate for treatment with CEREC. The CEREC system allows you to skip several steps in the process of having a tooth repaired or replaced. Instead of waiting weeks for your treatment to be finished, you can have your new permanent crown completed in a single day. Dr. Fowler can also use CEREC to create highly accurate and natural-looking tooth fillings. The system joins other technology Dr. Fowler utilizes at his practice to make care welcoming, convenient, and effective. A 3D imaging wand. Rather than using a dental impression tray, Dr. Fowler will take scans of your mouth using a specialized camera. Modeling software. CEREC will generate digital options for your tooth restoration. Dr. Fowler will choose from these options and refine the final version. Grinding / milling / sintering / glazing units. Machines that are about the size of large computer printers will create an extremely precise version of your tooth restoration. CEREC combines several of the common steps required for preparing a dental crown into a single process, all of which will take place inside the practice. With this technology, Dr. Fowler can complete your treatment in a single day instead of over a period of weeks. 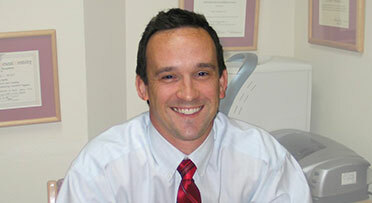 Dr. Fowler uses CEREC in his practice because of the important advantages it offers his patients. In a traditional approach to tooth restoration, Dr. Fowler will coordinate with a trusted dental laboratory to create a crown. Dental laboratories will use impressions of the mouth to craft natural-looking restorations. However, the traditional approach generally requires several dental visits: the initial consultation, a visit for preparing the tooth and placing the temporary crown, and a visit to replace the temporary with the permanent crown. With CEREC, you won’t require a temporary, and Dr. Fowler can combine all of the steps into a single visit. Getting treatment in a single day means that you will have fewer visits to schedule and less time in the dental chair. While having dental impressions taken is relatively comfortable, CEREC will let you skip this step entirely by using a small camera to create a digital model of your mouth. Because your treatment is completed in one visit, you will need less anesthesia and/or sedation. Because CEREC is extremely precise, the dental fillings it creates will closely fit the contours of your tooth. This will promote the durability and natural appearance of your treatment. The system will also allow Dr. Fowler to manage the fabrication of your restoration from start to finish. He will work with you in designing your final outcome, and if you want to adjust the way that your restoration looks or feels, Dr. Fowler can make these changes during your appointment. Tooth-colored fillings. Dr. Fowler will prepare your tooth, take a digital scan of the site, fabricate the filling in-office, and then bond it in place. CEREC’s accuracy means that your result should blend seamlessly and comfortably with your tooth. Dental crowns. If you have only one or two teeth that require treatment with dental crowns, CEREC can be an excellent solution. Dr. Fowler will prepare your tooth, scan and produce the crown, and place the crown all in the same visit. Dental implant restorations. Dr. Fowler works closely with oral surgery specialists to restore missing or damaged teeth from the root up. He will use CEREC to produce a new crown and to connect it to the dental implant in a single appointment. Learn more about CEREC and the other benefits that Dr. Fowler’s practice offers patients. Schedule an appointment online or by phone at (817) 731-6386.